For more than a decade, Real Living magazine has been helping homeowners create a beautiful home that they truly deserve. From giving advice on what pieces to buy to sharing expert tips on how to maximize spaces – trust the magazine and the team to help you build the home that you've always wanted. Apart from the inspiring home tours, shopping features, and tips, the Makeover section is definitely one of the most anticipated sections in the magazine every month. Given this, it comes as no surprise that the Makeovers tab also generate pageviews and shares online. After all, we’re always on the lookout for ways on how to spruce up and prettify our own homes. But would you believe that when the team first started doing makeovers, they only had a budget of P5,000? As the years went by, the RL team was able to take on more challenging projects – driven by their commitment and passion to improve homes and change lives. 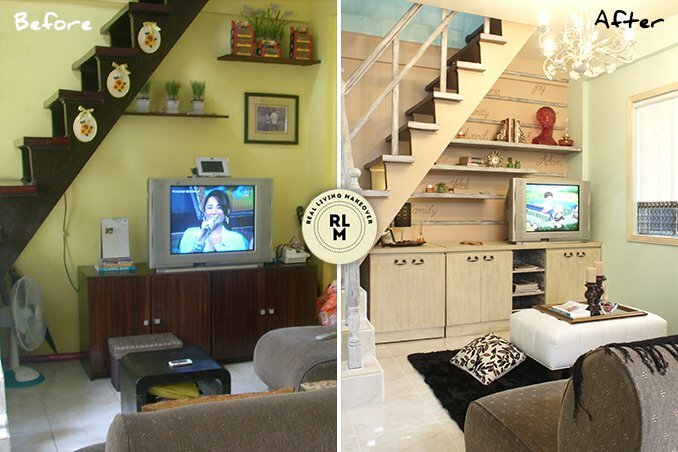 As we wait for the announcement of this year’s Ultimate Makeover winner, let’s revisit some of the memorable makeovers that we witnessed over the years.